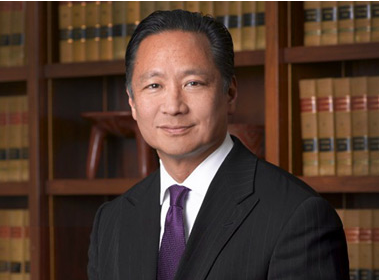 SAN FRANCISCO — After reviewing the transcripts and evidence released Tuesday, San Francisco Public Defender Jeff Adachi released the following statement Wednesday on the grand jury’s decision against indicting police officer Darren Wilson in the shooting death of Michael Brown. As San Francisco public defender, I am deeply disappointed with the grand jury’s failure to indict Darren Wilson for the fatal shooting of unarmed teenager Michael Brown. A series of questionable, and in my opinion, biased legal and ethical decisions in the investigation and prosecution of the case presented to the grand jury led to this unjust result, most notably allowing a local prosecutor with strong family connections to police supervise the investigation and presentation of the evidence. This ethical failure resulted in the exceedingly rare step of the prosecuting attorney refusing to recommend an indictment against the police officer he was prosecuting. The police investigation and inquiry itself were rife with problems. Dorian Johnson, the key witness who was standing next to Brown during the encounter, provided strong testimony that called into question Wilson’s claim that he was defending his life against a deranged aggressor. Johnson testified that Wilson, enraged that the young men did not obey his order to get on the sidewalk, threw his patrol car into reverse. While Wilson claimed Brown prevented him from opening his door, Johnson testified that the officer smacked them with the door after nearly hitting the pair. Johnson described the ensuing struggle as Wilson attempting to pull Brown through the car window by his neck and shirt, and Brown pulling away. Johnson never saw Brown reach for Wilson’s gun or punch the officer. Johnson testified that he watched a wounded Brown partially raise his hands and say, “I don’t have a gun” before being fatally shot. Prosecutors never asked Wilson why he did not attempt to drive away while Brown was allegedly reaching through his vehicle window or to reconcile the contradiction between his claim that Brown punched the left side of his face and the documented injuries, which appear on his right side. Wilson, who is 6 feet, 4 inches tall and 210 pounds, is never asked to explain why he “felt like a five-year-old holding on to Hulk Hogan” during his struggle with Brown, who is Wilson’s height and 290 pounds. It is also critical that we acknowledge the impact of implicit bias in decisions regarding stopping, investigating, arresting and prosecuting citizens, and in gauging whether deadly force is necessary. We must also demand that law enforcement agencies begin using available technology, such as police body cameras, to improve transparency and accountability to the public they are sworn to serve. And we must pledge to honor the request of Michael Brown’s family to work together to ensure that this tragedy is not repeated as it has been in the past.